It’s not too late to head over to the Winter Street Holiday Art Market – open today from 11:00 – 4:00. Went there last night as part of Art Crawl Houston and it was shopping nirvana. In my challenge to buy work appropriate clothes at White House Black Market that don’t make me feel old, I forget that there are TONS of local artisans ready to create something unique to insert into my bland professional attire. From jewelry to bags, there was tons of stuff to check out. Below are some of my favorites. Most of these folks are local, use recycled/upcycled materials and their goods can be bought on Etsy.com, a site where designers can showcase their work online. 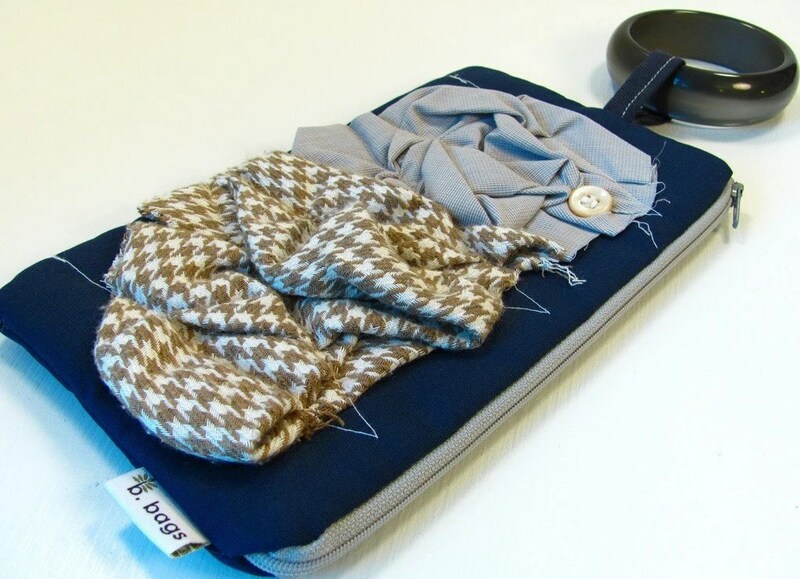 Better still – see something you like but would like to personalize it? Most of these designers will work with you to make something custom. Avoid the malls – buy from designers who love what they do! Oh my! And then there’s Georgina Key who was so lovely and had the CUTEST neck warmers. She was knitting a gorgeous brown cowl while I talked to her. I really think I need this but does it really get that cold down here? Does it matter? I would look fabulous! Hello-Lucky, located on Studewood, had a necklace to die for designed by Teresa O’Connor but they also have t-shirts and home items. Yep, like Urban Outfitters for cool people. And here’s where my friend EH spent some of her Christmas cash: Frilled and Feathered. 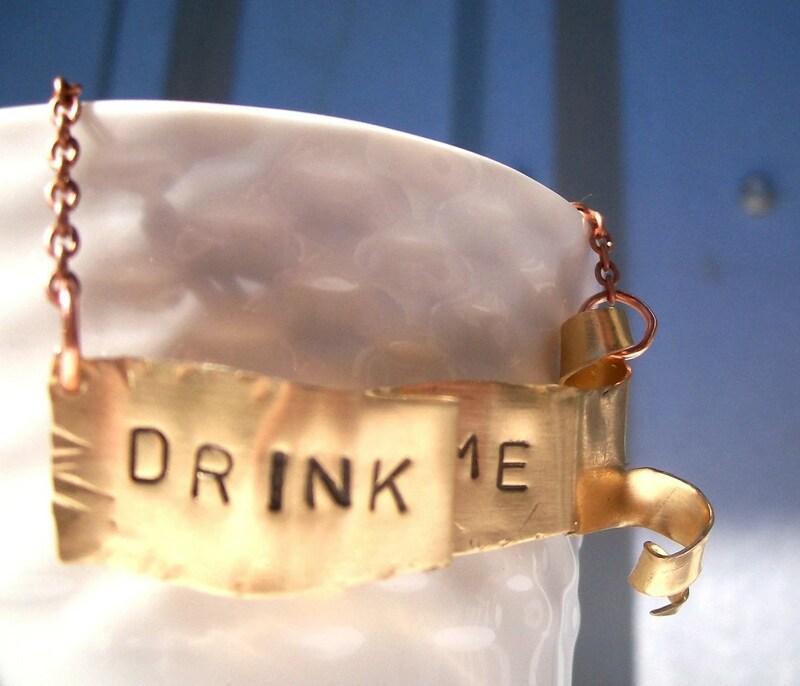 Love this “Drink Me” necklace from her Etsy.com shop. Thanks so much for the kuddos, muah!